The Country Inn & Suites, Fredericksburg South, located just off I-95 at Exit 126, can host birthday parties, wedding receptions, baby showers and corporate seminars of up to 170 guests. Our dedicated hotel staff can help with audiovisual needs, catering recommendations and refreshments. 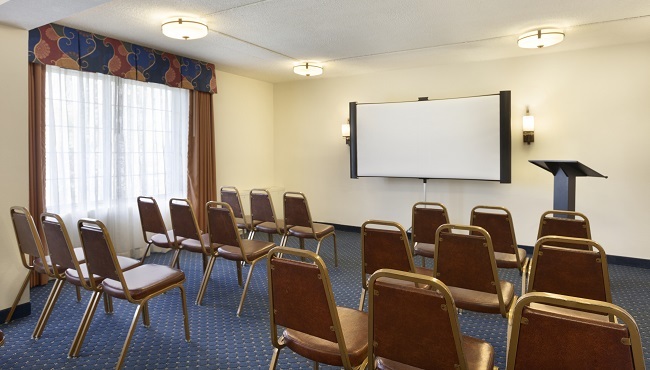 Ask about our personalized Country Inn & Suites Web page to keep your attendees up to date about event details before they arrive. Our hotel also sits close to great area attractions so your guests will have plenty to do during their free time.